Just like C# and Java, you can create contract for classes by implementing Interface. Interface defines public properties and methods of a class. It does not have any private members and must not have any implementations of its members. In TypeScript, you can define an interface by using the keyword interface as below. By default, all the members in an interface are public. TypeScript allows you to extend an interface from a class type. In this case, the declaration of the members of the class gets inherited to the interface but not their implementations. This is as good as a class inheriting from an interface. In simple words, you can create an interface that extends a class and then can be implemented in another class or interface. So, today we have learned how to define an interface using the keyword interface, how to implement an interface in a class, how to extend and interface from another interface and how to extend a class in an interface. If you are from C# or Java background, interface extending a class will be new to you in TypeScript. Hope you liked the tutorial. Don't forget to checkout my other posts from the TypeScript Tutorial series. You can find the link below. 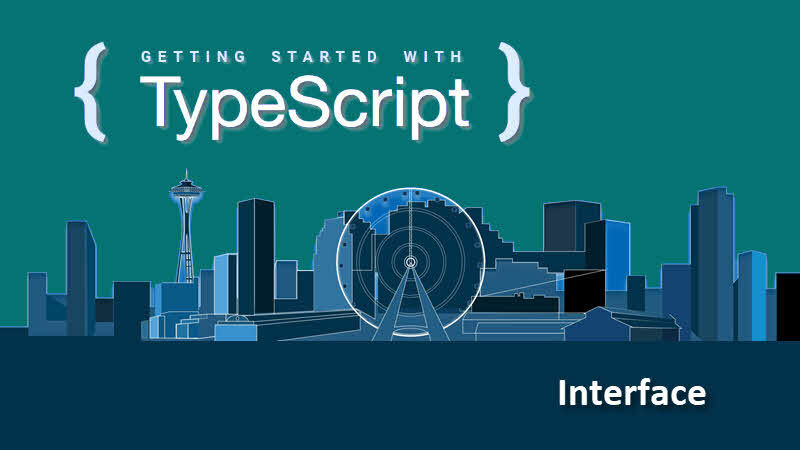 If you have come this far, it means that you liked what you are reading (How to define an Interface in TypeScript? -- TypeScript Tutorial for beginners).